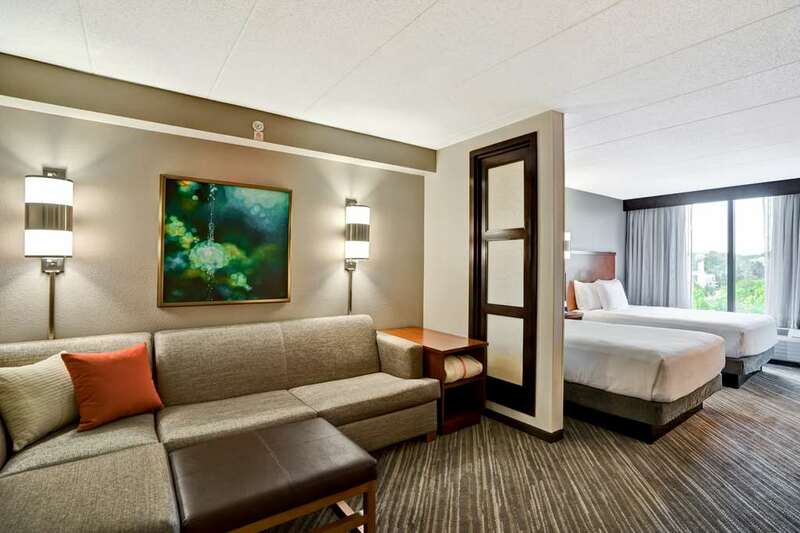 127 room hotel located in the BWI Airport District only 2.5 miles from BWI Airport. Rooms feature 1 king or 2 double beds and a sitting area with pull-out sofa. Rooms feature 1 king or 2 double beds and a large working desk area with 2 phone lines. Every room is equipped with a, mini-refrigerator, sink and coffee maker. 24-hour fitness center, indoor pool, free USA today. Complimentary Gallery Kitchen Breakfast featuring daily, customizable breakfast bowls and yogurt parfaits. Served daily from 6:00a.m.-9:30a.m. (Monday-Friday) and 7a.m.-10a.m. (Saturday & Sunday) in our Guest Kitchen. 24-hour Grab & Go Cafe offers freshly prepared entrees, sandwiches, salads, and pizza. Available 7 days a week in Guest Kitchen. Complimentary shuttle service offered to BWI Airport and light rail. Conveniently located to Baltimore's Inner Harbor, Camden Yards, Ravens M&TStadium, Arundel Mills, Maryland Live Casino, Horseshoe Casino, Medieval Times, and Columbia Maryland. PET POLICY: 1-6 NIGHTS A 75 NON-REFUNDABLE FEE. 7-30 NIGHTS A 75 NON-REFUNDABLE FEE PLUS AN ADDITIONAL 100 CLEANING FEE. MAXIMUM OF 2 DOGS PER ROOM ARE PERMITTED. WEIGHT MUST BE 50 LBS OR LESS MAX OF 75LBS PER RM. FEES ARE IN USD. Service Animals are exempt from fees. 01Jun18-03Jun18; Jazz Festival 2018: Full Pre-Payment, No Refunds or Changes. G and M Restaurant: A local resturant that delivers a very nice variety of meals and famous for its Maryland Carbcakes which they will pack to travel. The Hyatt Place Baltimore B.W.I. is located in the BWI Airport hotel district and a mere 7 miles from Baltimore City and attractions. Our complimentary shuttle service runs to BWI Airport, light rail and local Restaurants. The hotel also offers interior corridors, complimentary breakfast, fitness center, indoor pool. Annapolis Historical AreaAnnapolis is Marylands historic capital, home of the US Naval Academy, situated on the Severn River and bordered to the east by the Chesapeake Bay. Annapolis city is a National Historic Landmark and features the oldest state capital still in use. Arundel Mills Outlet MallNew Outlet Mall featuring 24-theaters, Bed Bath and Beyond, Kenneth Cole, Off Sax Fifth Avenue, Guess, Perry Ellis, Hugo Boss, Medieval Times, Jillians, and a large casino. Washington DCWashington D.C.'s popular sites include the White House, Smithsonian, Washington Monument, the Capitol, Vietnam Memorial, Corcoran Gallery of Art.